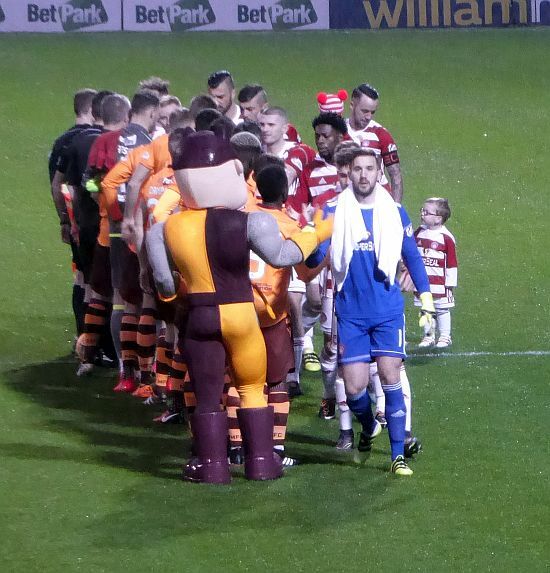 On Saturday Motherwell and Hamilton will meet in the Scottish Cup for the first time in 20 years. A big Lanarkshire crowd should provide a great atmosphere inside Fir Park as the home support hopes for a win to see the season back on track. The occasion provides a fitting start to the second half of the season and both teams will be desperate to knock their neighbours out. In February 1997 it took a replay and a couple of goals from Owen Coyle to send Motherwell to the next round. Who will score the goals this time? Stephen Robinson has delivered on last month's pledge to add to our forward line. Curtis Main and Nadir Ciftci joined up in time for the sunny week in Tenerife and it could be that the pair are given a place in the starting eleven. The manager has shown a willingness to make bold selections and the risk of running with an untested striking partnership will not deter him. The poor scoring return in recent games underlines the need for a change. The break has given valuable recuperation time for several of the regulars who were struggling as the old year ended. Team selection can now be made with tactics rather than fitness in mind. Accies will miss the suspended Skondras and long time crock Devlin but we saw enough in the last game before the break to know that Canning’s men will offer stout resistance. We were a goal ahead but managed to lose the league game to put a damper on Hogmanay. Memories of that day will disappear with a 2-0 win. The draw for the fifth round will take place late on Sunday afternoon at Tynecastle.